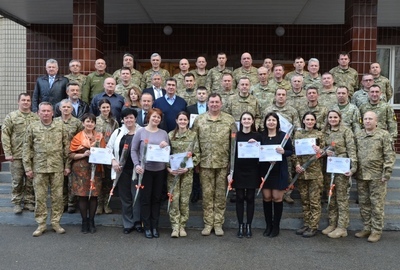 Specialists of the Simulation Center of the University joined the ICRC’s seminar on the study of the norms of international humanitarian law with the servicemen of Operational Command "North"
The 19-th International week "NATO beyond the Brusseles summit and 21-st century challenges"
On April 17, 2019, the scientific and practical seminar on the topic “Features of Radio Troops, Communication Troops, Radio Engineering, Automation and Information Systems Military Units Training and Application in Modern Conditions” was held in the Radio-Technical and Special Troops Department of the Institute of Aviation and Air Defence. 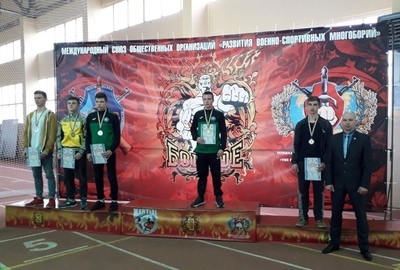 The team of the University took part in the Military All-round Sports Championship of Ukraine in the section "Combat double event"
Representatives of the Institute of Aviation and Air Defense took part in the XV International Scientific Conference "New Technologies for the Protection of the Airspace"
During April 10-11, 2019, on the basis of Ivan Kozhedub Kharkiv National Air Force University under the leadership of the Commander of the Air Forces of the Armed Forces of Ukraine Colonel-General Serhiy Drozdov held an international scientific conference "Advanced technologies - to protect airspace". 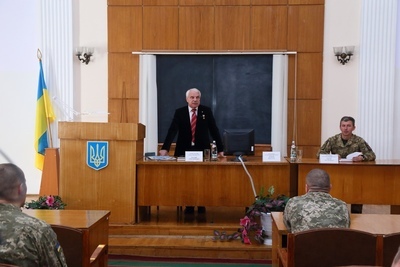 On April, 10, 2019 captain Viktoriia Krykun, a representative from the National Defence University of Ukraine named after Ivan Cherniakhovskyi participated into the “Communicative Strategies of Information Society: Linguistics, Law, Information Security” X Ukrainian Scientific Conference of Young Scientists, Students and Cadets at the National Academy of the Security Service of Ukraine. 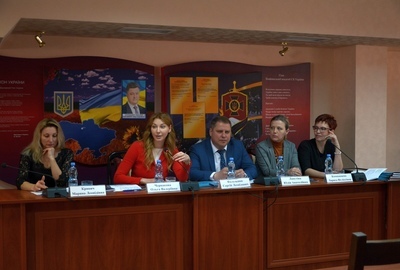 Students of Humanitarian Institute participated in the psychological training «Development of Skills of Apperceiving Crisis as a Resource under the conditions of stress factors influence in a context of extreme situations», which was held by Department of Aviation Psychology of the National Aviation University within the framework of the II International Symposium «Humanitarian Discourse of the Multicultural World: Science, Education, Communication». 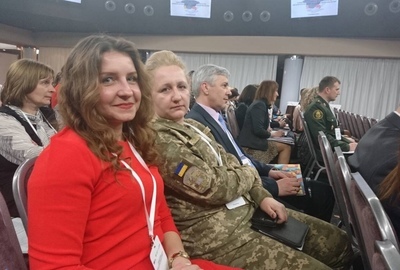 On April 5-6, the representatives of the National Defence University of Ukraine in Kyiv participated in the 4th International Scientific Practical Conference “Military Psychology during War and Peace times: Problems, Experience, and Prospects”. 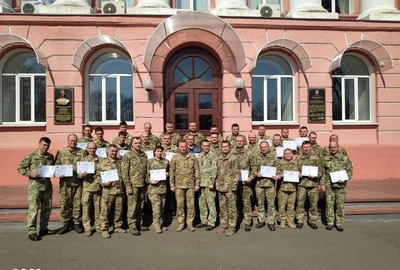 On April 05, 2019 the students graduated from the Advanced Leadership Courses for Non-Commissioned Officers of Ukrainian Armed Forces which was held in Professional Development and Advanced Training Center of the National Defence University of Ukraine named after Ivan Cherniakhovskyi. 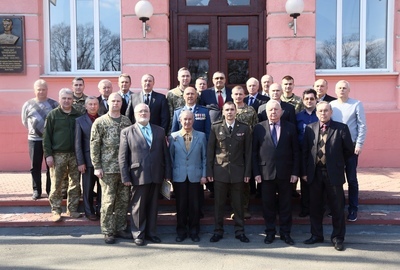 April 4, 2019 marks the 25th anniversary of the founding of the Department of leadership of troops (forces) in peacetime command-staff Institute of the use of troops (forces) of the National defense University of Ukraine named after Ivan Chernyakhovsky. 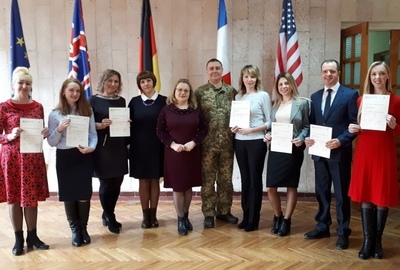 FLERC had the last graduation ceremony of the PD course for English teachers of MOD and Defence and Security Sector of Ukraine based on the ICELT Programme of Cambridge University. The Project was started in 2005 by Peacekeeping English Project of the British Council and run by native speakers and successfully continues by the trainers of the Department of foreign languages of NDU after the PEP had finished its work. 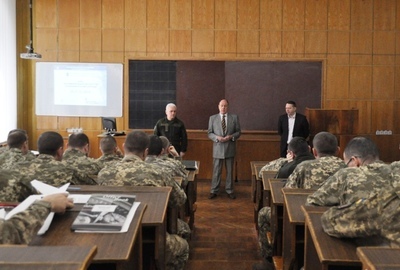 On March 29, 2019, the second graduation ceremony of the students from the non-commissioned officers advanced courses concerning the management and support of measures on career guidance of the non-commissioned officers was conducted at the National Defence University of Ukraine named after Ivan Cherniakhovkyi Professional Development and Advanced Training Center. 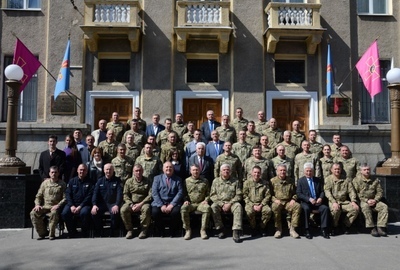 On March 26-28, 2019, the course “Military Leadership” was held by academic staff of the social sciences department of the university with students of the Command and Staff Institute. 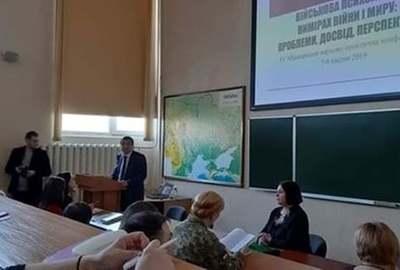 A scientific and practical seminar entitled "Problems of organizing the antiaircraft defence of arsenals, bases, storages from air attack weapon and ways to solve them" was held at the Institute of Aviation and Air Defense of the University on March 28, 2019. 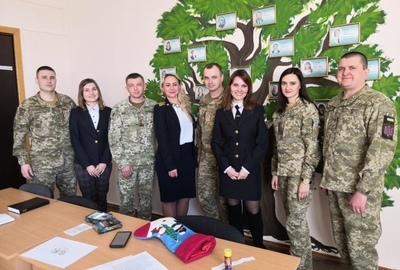 On March 26, 2019 the students graduated from the Professional Development and Advanced Training Center of the National Defence University of Ukraine named after Ivan Cherniakhovskyi. 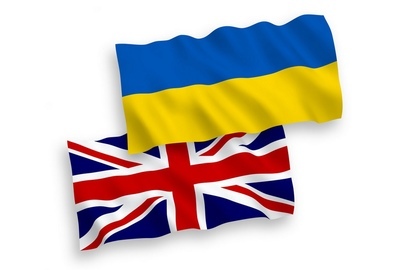 The graduate students are ready to apply gained knowledge while tasks performance at their places of service in the units of the Ministry of Defence and the Armed Forces of Ukraine. 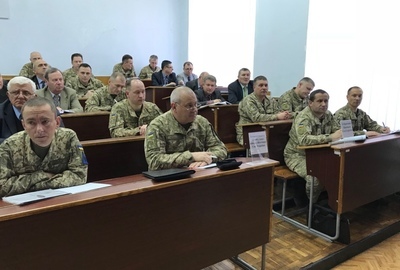 The special training course for brigade commanding and staff officers of the Operational Command “West” of the Armed Forces of Ukraine continues at the University. 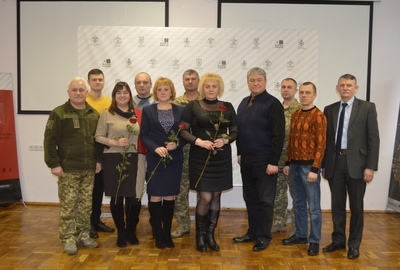 The visit of Representatives of the International Committee of Red Cross (ICRC) to the Simulation Center has occurred during this course. 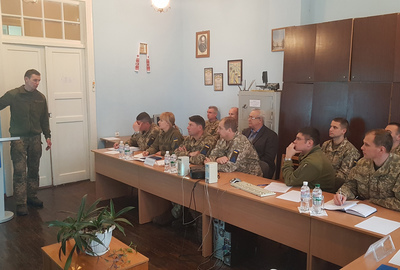 The main goal of the visit was to provide the consultations to the Brigade officers on issues of the International Humanitarian Law norms during combat operations. 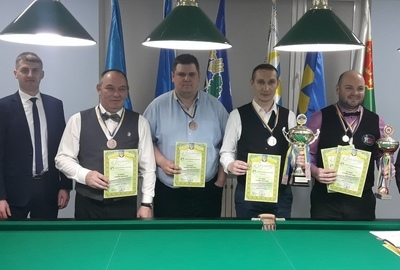 From March 18 to March 21, 2019 personal and team “Free Pyramid” Open Race Cup of Ukraine in billiards among the scientific and teaching staff was held in Poltava. 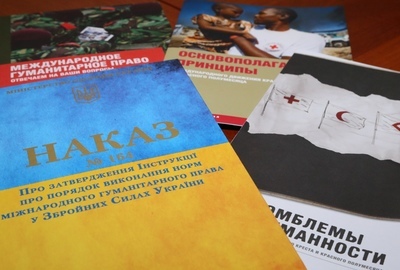 The Higher academic anti-corruption courses, which have been provided by specialists of the Center for the Corruption Prevention in the Security and Defense Sector according to the program of the non-governmental organization Transparency International and with the assistance of representatives of the British Academy of Defence have been finished. 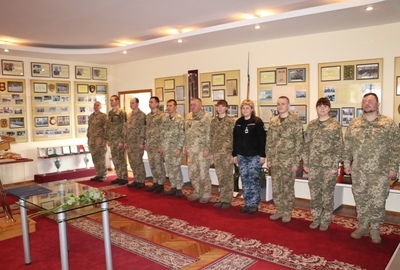 From 18 to 23 of March, students of the State Military Management Institute of the National Defense University named after Ivan Cherniakhovskyi are on a working visit to the Armed Forces of the Great Britain.